Im a little bit confused about all the Bernal models and i have to estimate a good price for mine. Its a Bernal 1a Blanca from the 80‘s in very good condition. What do you think is it worth? Do anybody know, what his 1a had cost these days? Was the 1a his top model and was it built all by himself? Any information would be helpful. Benros I have a Bernal 1999. The seller, gitano sevillano, told me his father knew Valeriano Bernal and that it was the highest quality model below individual handmade - Model F. I have no reason to doubt him including photos of it being played in the bars of Sevilla. 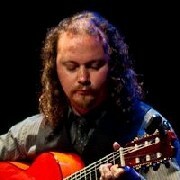 Despite having an Ander's made for me in 2005 I still love my Bernal guitar. 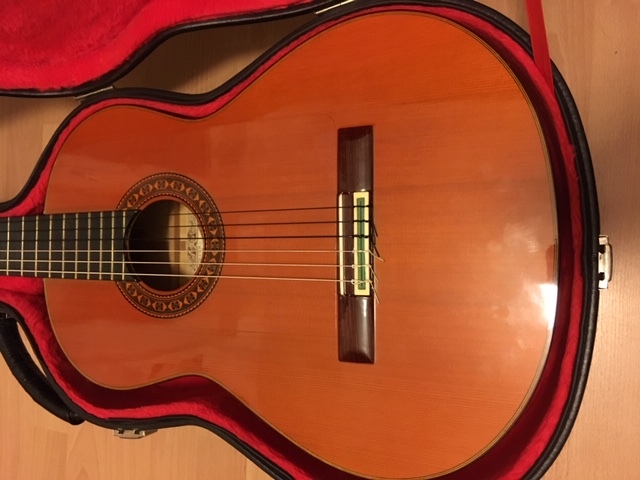 Compared to an Alhambra 10f it is a total pleasure to play (not suggesting that is a great recommendation but it is the only comparison I have). Don't get me wrong my Ander's leaves me over my dead body - but that is in a different league. If you search here you'll find very interesting posts by a distributor of guitars Valeriano Bernal and other people who experienced these animals. The posts in 2009 I think could be helpful. But please post your offer in the classifieds here as I might well be interested for my niece in Madrid. hey nigel, thanks for replying. what did you pay for your f-model? i have read the posts about bernal guitars here, but there is not much information about the 1a-model. some information would be great. what did you pay for your f-model? which were at a poor rate to the Euro and the pound at the time. And the market was more buoyant than today. I think the amount related to 1400 Euros. GUITARRA FLAMENCA DEL AñO 1976 Vendo guitarra flamenca del año 1976. Hecha por Valeriano Bernal (padre). Está en muy buen estado, solo tiene pequeña grieta perfectamente reparada por el guitarrero. Tiene clavijero de madera. Es una joya con 42 años de antigüedad. El precio es de 1. 700 €. No negociables. Solo atiendo por teléfono. 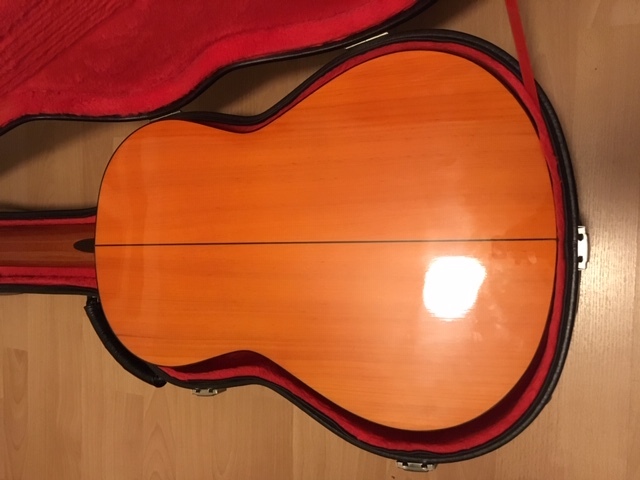 And : Vendo o cambio por guitarra flamenca similar Conde, Reyes, Andalusian guitar, etc. 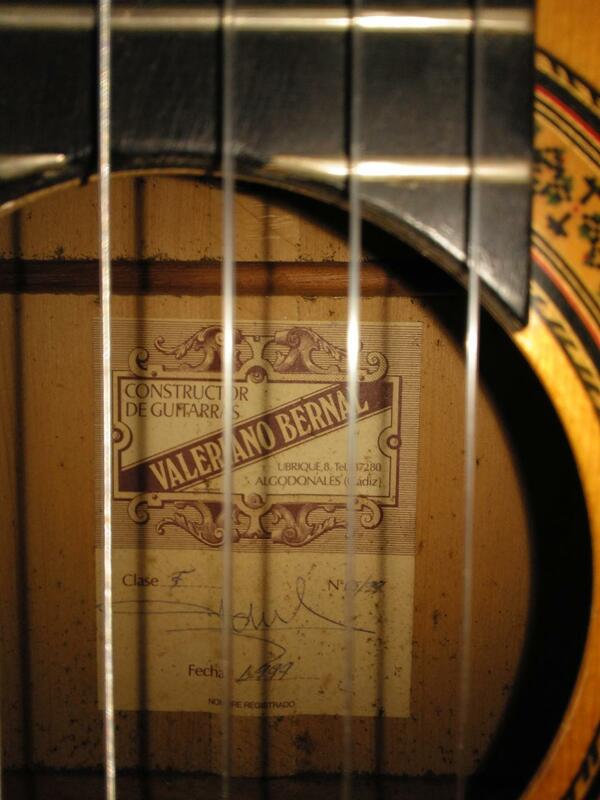 o alguna inferior + dinero, esta guitarra flamenca de Valeriano Bernal, modelo Duende, del año 2002. Es la tope de gama en las guitarras de ciprés del constructor. Aros y fondo: Ciprés real español macizo de primera, y tapa maciza de abeto alemán. Cabeza tallada con clavijero de palillos. 3750 Euros. It seems the marketplace is wide open and you need time on your side. I happened to be watching an online auction over the weekend for a 2001 Bernal Clase F in very good condition. Final selling price was $719 plus $50 shipping. Seems about right to me Fred. Depends on dings of course which after almost 20 years I'd be amazed if it didn't have a few. it seems to me, that the used bernal guitars seem to gravitate to the same price tag (in germany around 900-1200 euro), equal what model (besides the newer top models). there also is not much visible difference between the f-model and the 1a, in terms of wood choice or ornamentation. probably the 1a is the same model just built by valeriano himself. it would really interest me, how much the 1a was back then, since bernals prices where so low. anyway, probabaly better to hold mine. I have a long connection with Bernal guitars. I used to be their main distributor from around 2001-2003. You can read about my involvement from this thread. Pimientito I have read your posts from way back then and found them very interesting. Here is the label from my Bernal 1999. Is the signed bottom half of the label relevant or do they all have that? Would welcome any comment and hopefully Benros will put his up soon. Pimientito thank you so much for that. It all fits in exactly with the story from the previous owner, who spent his time playing in the bars and restaurants of Sevilla. It certainly has had a hard life as the damage I'd had repaired clearly shows. But that was all cosmetic. Anyway I like it and find it easy to play. And a story on its 20th birthday makes it even more appealing. ive already read your interesting story! Thanks for jumping in. Would be nice if you could give me some information. its not a clase f, but a 1a. I cant tell you as much about this guitar as its from 1988 and I was not involved with the company at that time. Its definately Vals signature on the label. The numbers are about right. This is number 19 dated 30th July which is a day or 2 before the factory shut for summer. In August it got too hot in Algodonales for glue and laquer to work properly so they shut up shop and maybe only made bridges. Thats why the bridges on the higher and lower models are more or less identical. 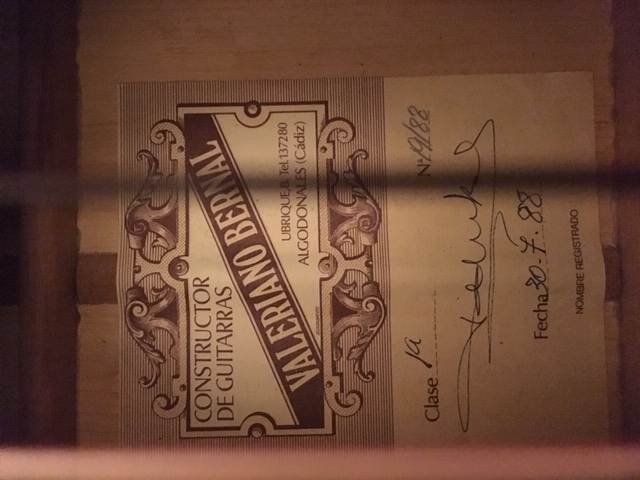 Val personally made about 35 guitars per year, his wife (one of the few guitar makers in Spain) made a large number of the "Serrania" series which were the lowest models. The whole family made the other guitar models as a collaborative effort. The output increased as the family got bigger! Again this is one of Vals guitars and it looks to be in excellent condition for its age. Because Bernals instruments were well priced, they were often well played and got fairly beaten up. You have obviously taken good care of her.